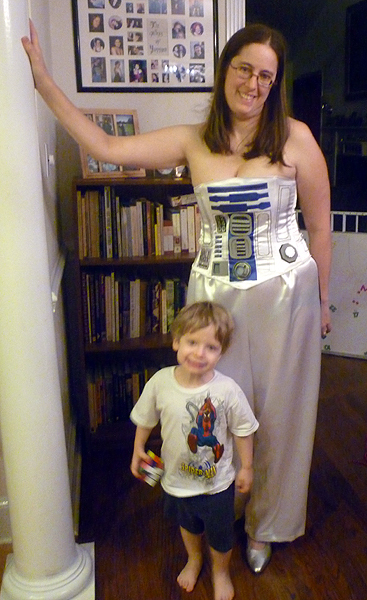 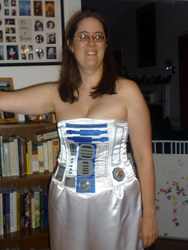 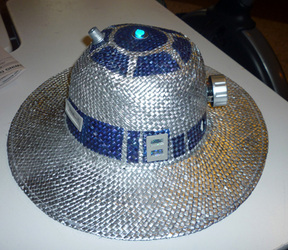 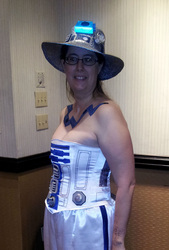 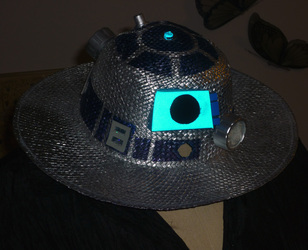 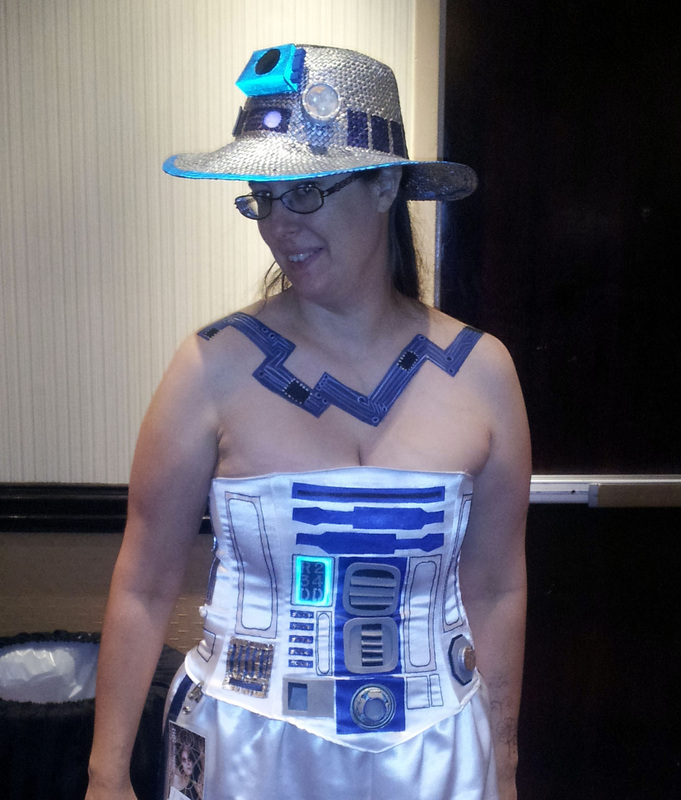 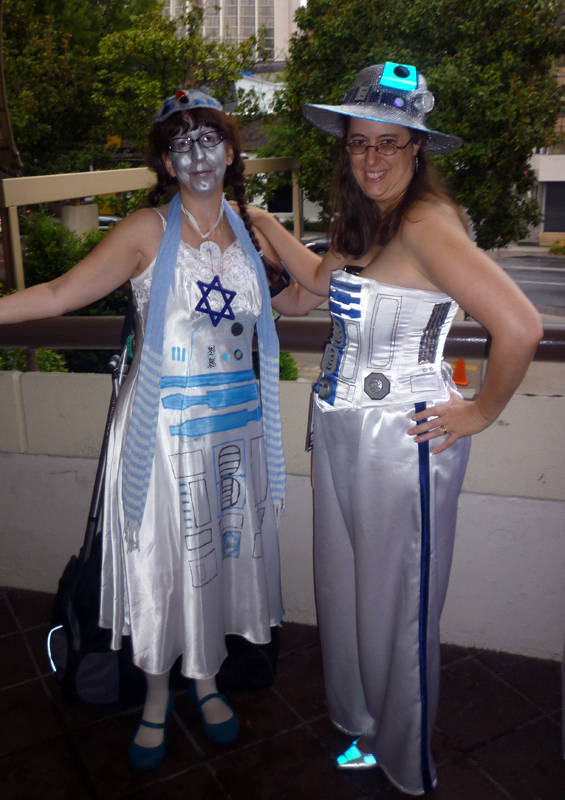 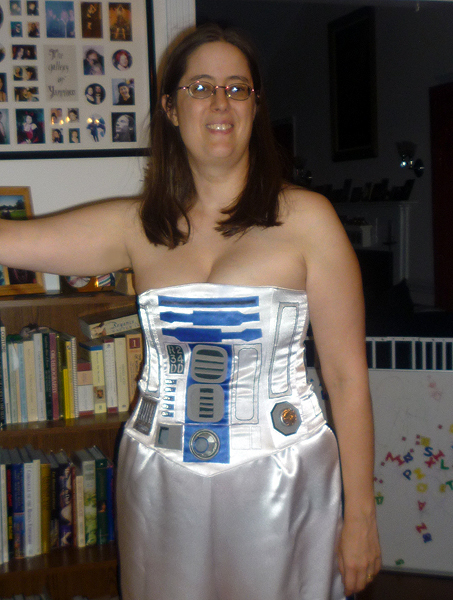 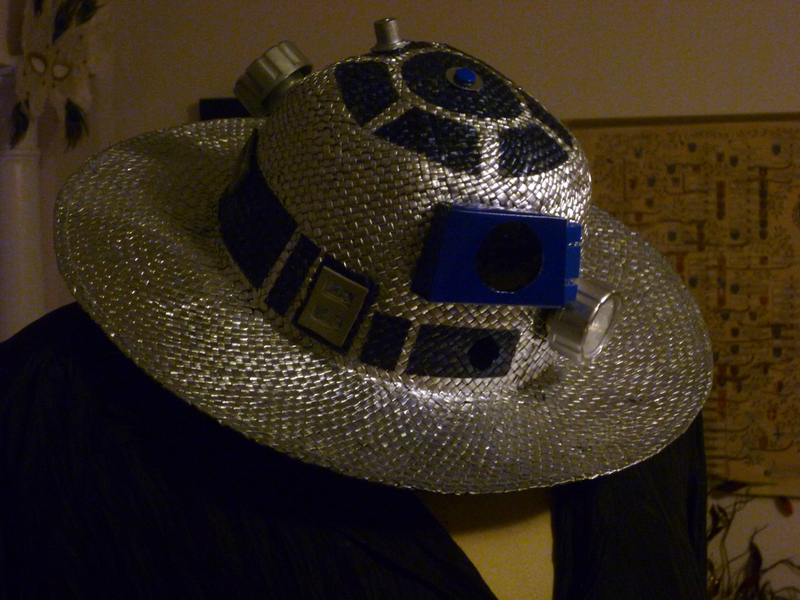 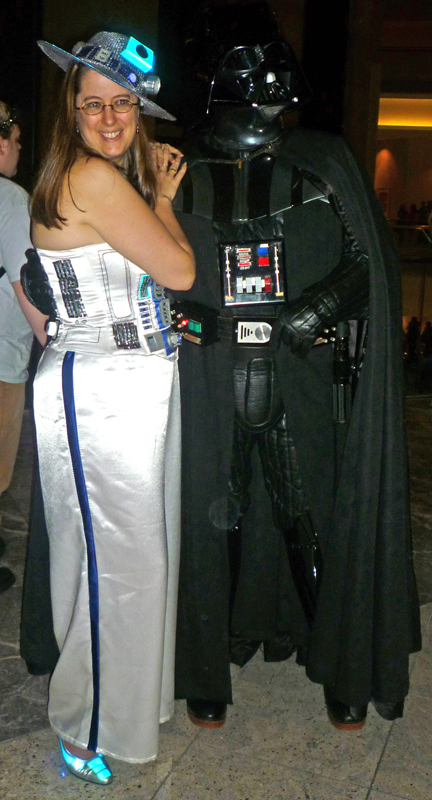 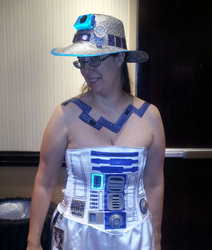 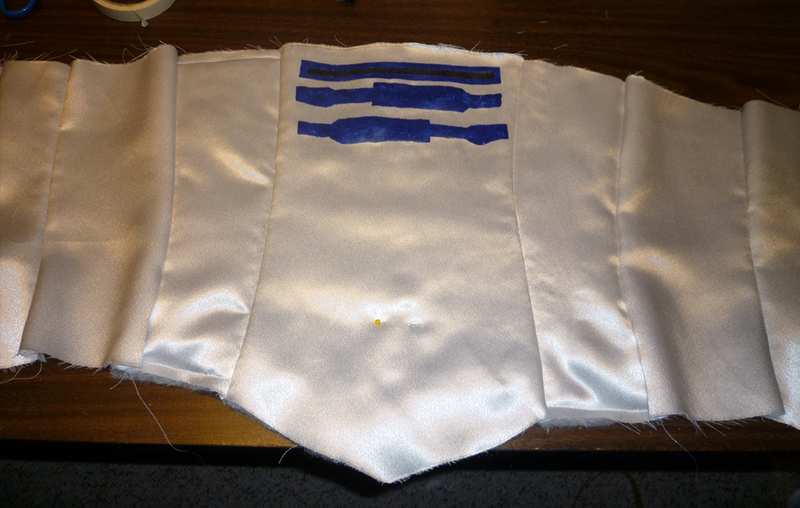 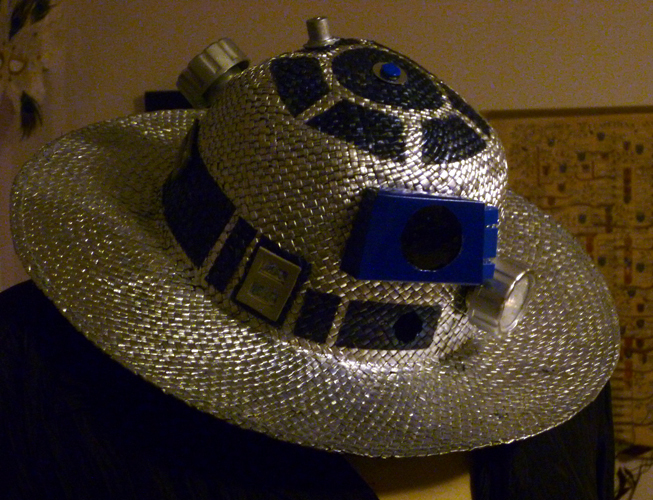 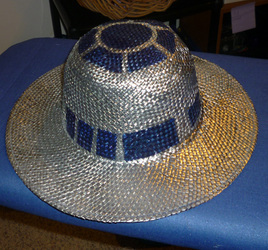 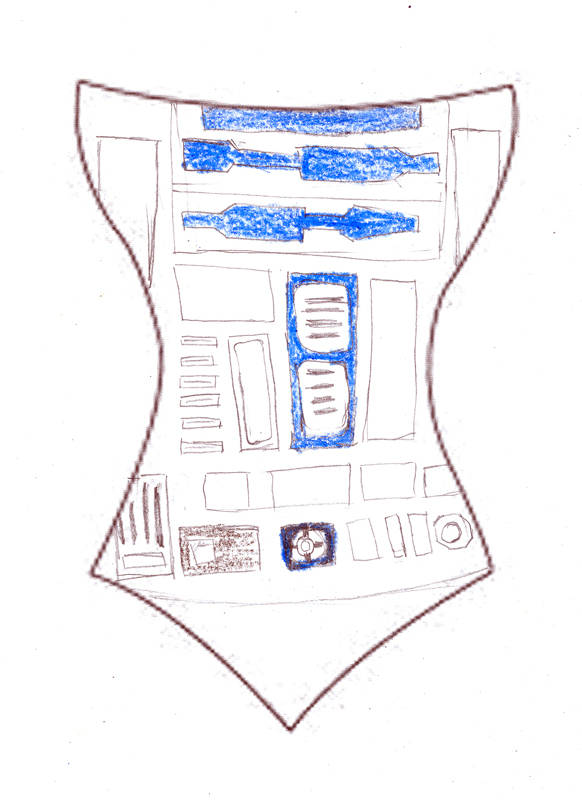 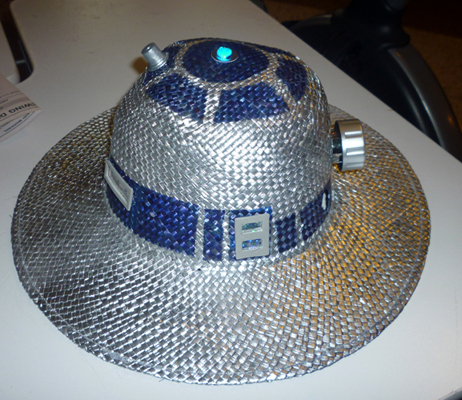 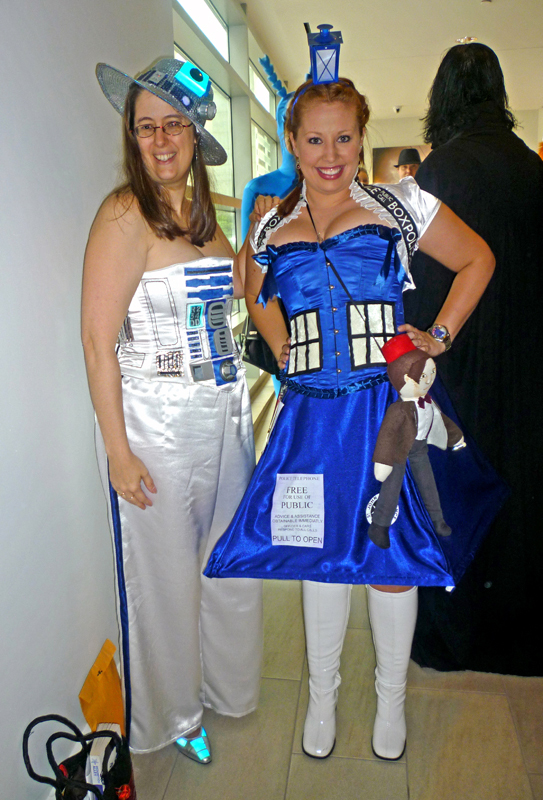 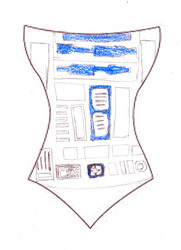 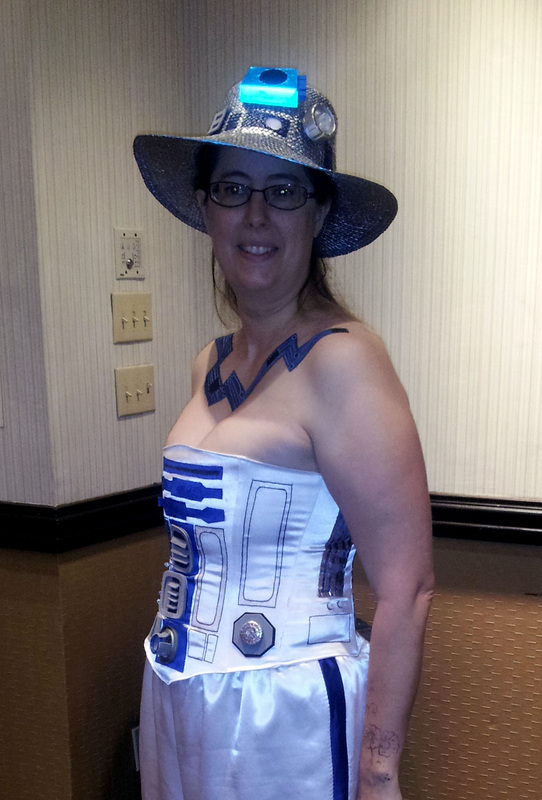 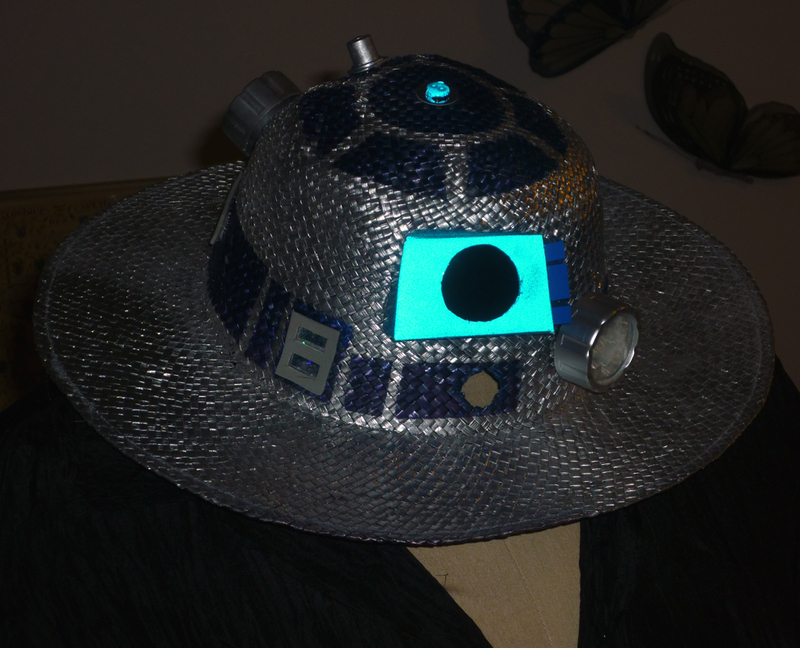 This was inspired in part by those Dalek dresses that had become ubiquitous at Dragon*Con. 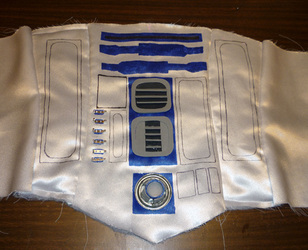 I liked the idea of basing a real garment on a robot. 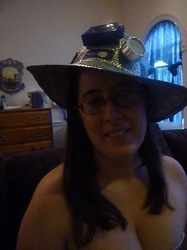 The hat is my real pride and joy. 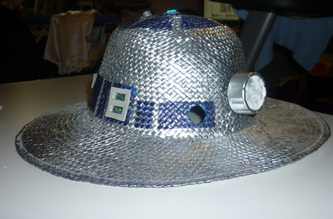 I learned to solder specifically to make this. 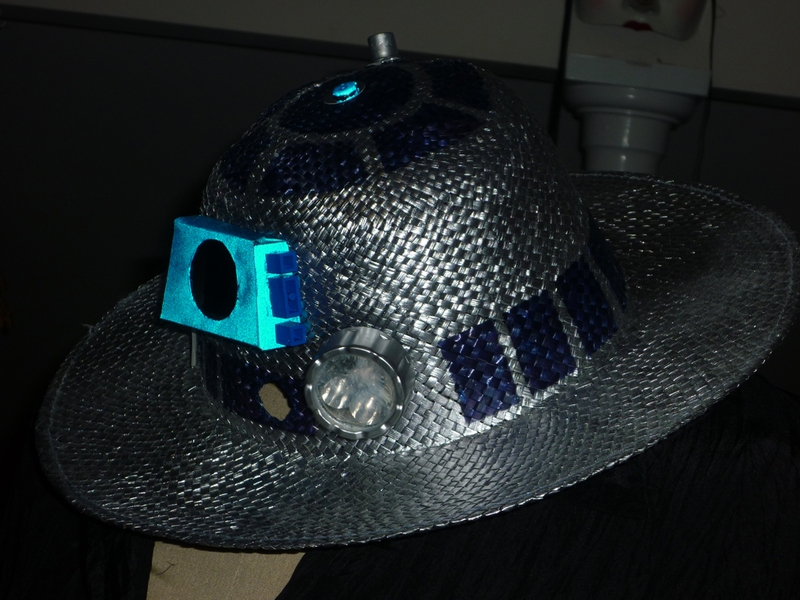 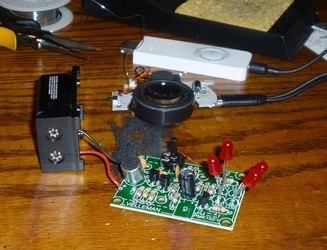 The iPod plays a repeating loop of random R2 whistles and beeps; the mic on the circuit board picks up the sound and controls the lights.